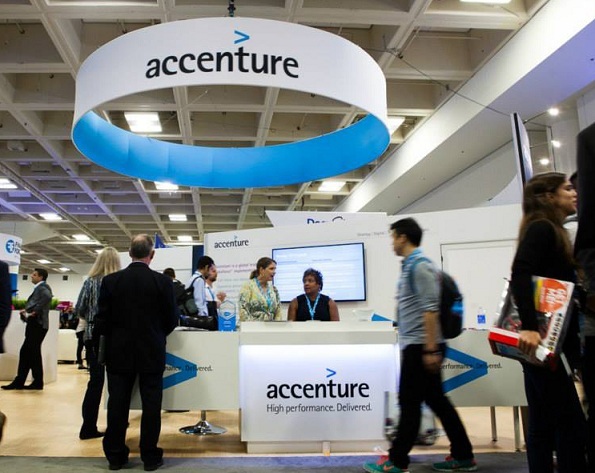 Accenture Company Huge Walk-in Recruitment for Any graduates vacancy announced. Accenture company job needs candidates and interested peoples welcome for this job. given below venue details, walk-in time. Accenture* Huge walk-in Instructional Designers for Any graduates in Mumbai. Accenture PLC is a global management consulting and professional services company which provide strategy, consulting, digital, technology and operations services. A Fortune Global 500 company, it has been incorporated in Dublin, Ireland, since 1 September 2009. In 2016, the company reported net revenues of $32.9 billion, with more than 394,000 employees serving clients in more than 200 cities in 120 countries. In 2015, the company had about 130,000 employees in India, about 48,000 in the US, and about 50,000 in the Philippines. Accenture's current clients include 94 of the Fortune Global 100 and more than three-quarters of the Fortune Global 500. Accenture common equity is listed on the New York Stock Exchange, under the symbol ACN, and was added to the S&P 500 index on 5 July 2011. In 2016, Fortune magazine named it as the world's most admired Information Technology Services company. Perform training solutions production on all types of development projects. Develop a basic understanding of the subject matter through materials provided and individual research. Prepare interview protocol and gather content from Subject Matter Experts and Jr.-Level Stakeholders. Design and create tool-focused, performance enablement deliverables. Develop and integrate module content, materials and media to meet detailed design specifications. Develop and edit content to support the overall learning goals and objectives. Review course materials to confirm learning objectives have been met based on results of the audience and needs analysis results. Review and revise content based on feedback from internal and client reviewers or stakeholders, resolve conflicting feedback Support training solutions development process. Use development tools according to defined standards, identify continuous improvement areas based on lessons learned. Participate in course test activities such as cycle testing, user acceptance, editorial and instructional design checks; properly document problems for issue resolution. Collaborate with peers and Subject Matter Experts (SMEs) via professional communication channels to maintain relationships. Review work of peers and contribute to best practice/lessons learned developed on the job. Evaluate course assessment results and prepare recommendations for future enhancements/updates using the Course Data Repository tool. Strong written communication skills - working knowledge of editorial requirements grammar and instructional design of materials; attention to detail to ensure quality. Strong oral communication skills - ability to interview SMEs to define and structure instructional materials. Knowledge of and practice with several instructional approaches (web-based, instructor-led, or virtual instructor-led training). Knowledge of Microsoft Office (Word, PowerPoint, and Excel). Must be an Expert in Instructional Design specifically Must have mentored or coached others, has the ability to work with clients. Should have exposure in - E-Learning, Instructor-led training's, Learning enabled through other channels and medium HTML 5 dive, Adobe 5 will be good to have.